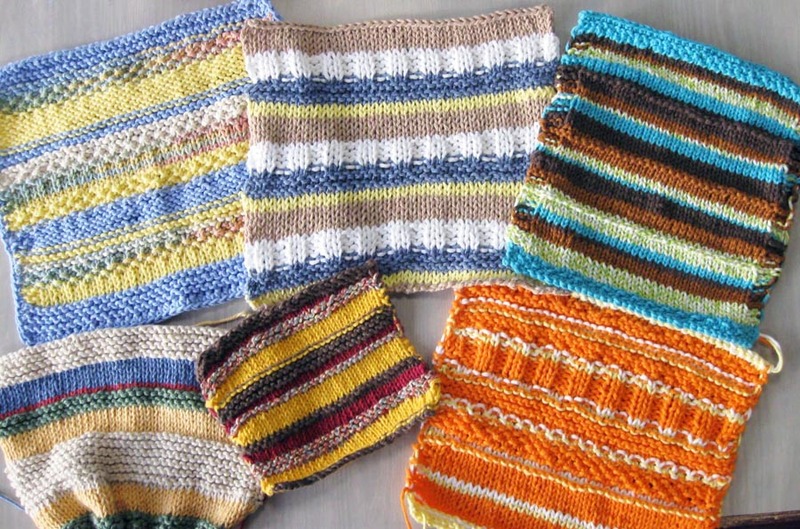 Want to add COLOR to your knitting projects? 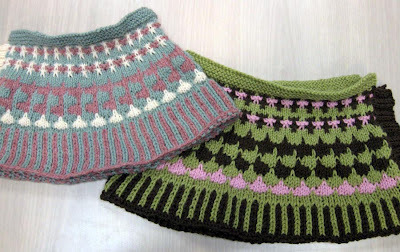 My No Fuss Color Knitting class starts next week on Tuesday evening. This class is packed with information, techniques and a mix of quick projects to help you gain color knitting confidence. This 4-session class also includes color theory, and fun, in-class exercises on color and value. Contact me at veronica quilts@gmail.com to get a supply list and register for class. Class begins Tuesday, April 17. 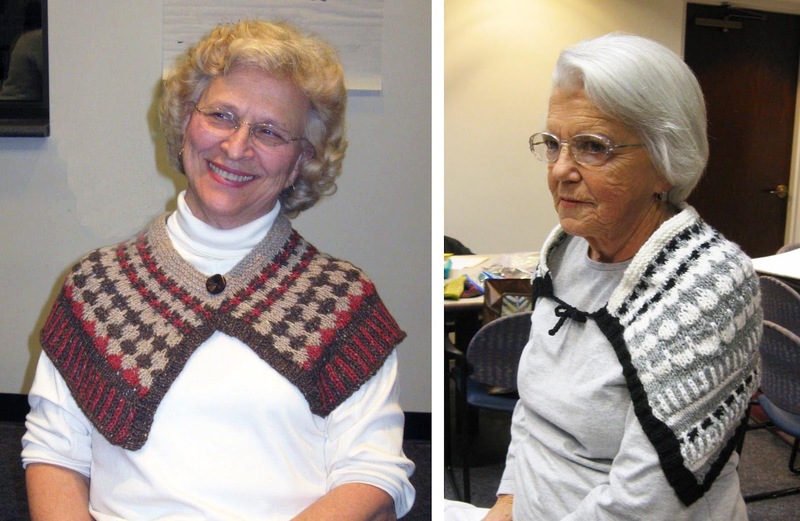 Here are photos from previous No Fuss Color Knitting classes. Let's play the Stripe Game! This is the Deana Wrap. 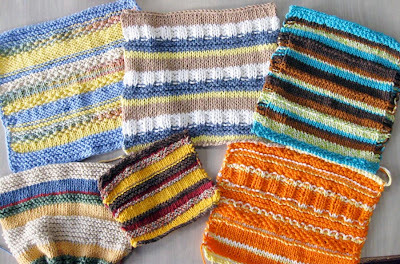 We'll explore four different "No Fuss" color knitting techniques with this project. You'll be surprised at how deceptively easy they are! Students show off their colorwork projects. 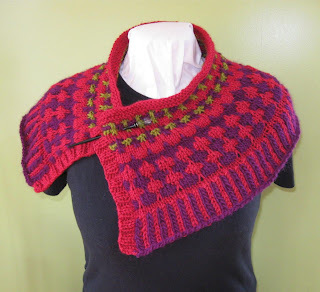 No Fuss Color Knitting class: The Deana Wrap.